If you have purchased books on behalf of your child you may want to access their account to double check that the books are there. Great! All digital books within Box of Books are purchased on behalf of a specific student or staff member of the school. You must login with a valid school email address using the school's single sign-on. You cannot use your personal email or even the email you used to purchase the books -- you must use the student's email address. But what if I have a parent or alumni school portal/hub account of my own? Many schools allow parents and alumni to login to the school portal to get access to other school services. If you have already logged into the school portal, Box of Books may automatically assume you want to login to the eBook portal using the same credentials. That's most unfortunate. Your email address [email protected] is not permitted for use with this school. No problem! You just need to open a private window on your browser (see below) and login using your student's email address. Opening a "private" or "incognito" window on your browser is very straightforward. This new browser window will ignore any current login information you may have in session. 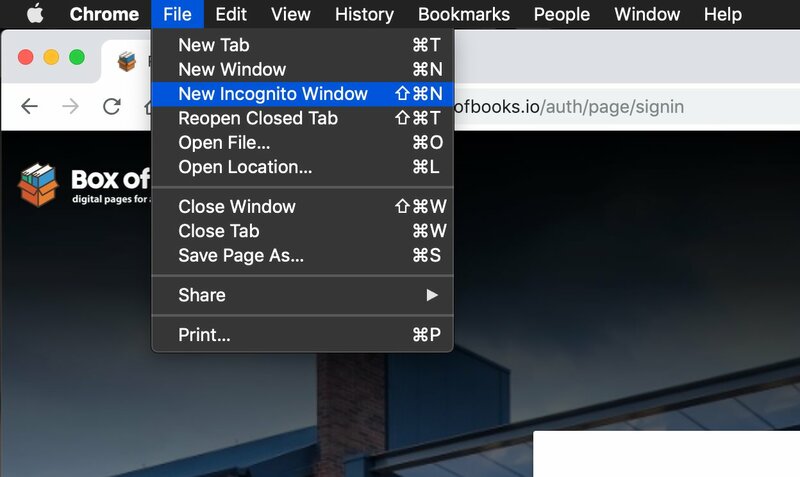 Google's Chrome browser uses Incognito Window. 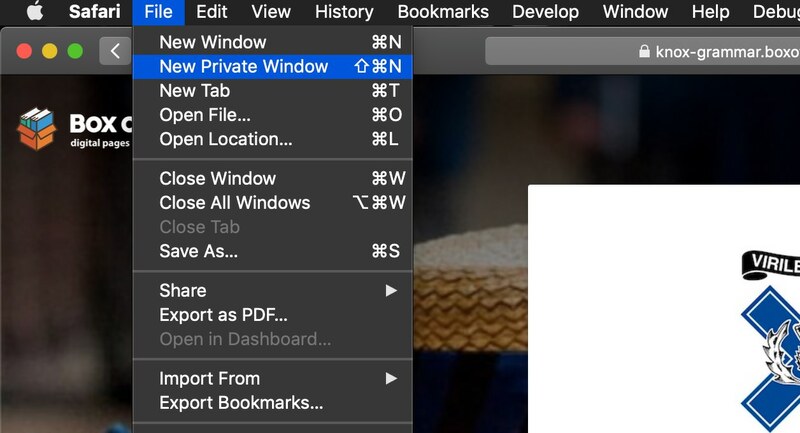 Apple's Safari browser uses Private Window. Mozilla's Firefox browser uses Private Window. If you are still having trouble accessing the portal, use the help button bottom right of this screen -- its the fastest way to get hold of our team.